Bitsey the rooster, who avoided capture for a year in South Kitsap. Bitsey, the once elusive rooster, quickly found himself in a permanent home after being captured earlier this month in South Kitsap and taken to the humane society in Silverdale. Last summer, Bitsey made the ravine above Port Orchard City Hall his own. City officials and neighbors weren’t pleased with situation where the rooster would crow at all hours of the day and night. Animal control finally nabbed the rooster on May 4. He was adopted by Lone Rock Mercantile in Seabeck on May 13, a day after he was up for adoption. The owners of the store declined to be interviewed, although Bitsey now is happily spending his days with 15 hens, according to the Kitsap Humane Society. Livestock tend to be adopted fairly quickly because of the rural area in and around Kitsap, said Meagan Richards, the humane society’s adoption program coordinator. Roosters usually take the longest to adopt, she added. 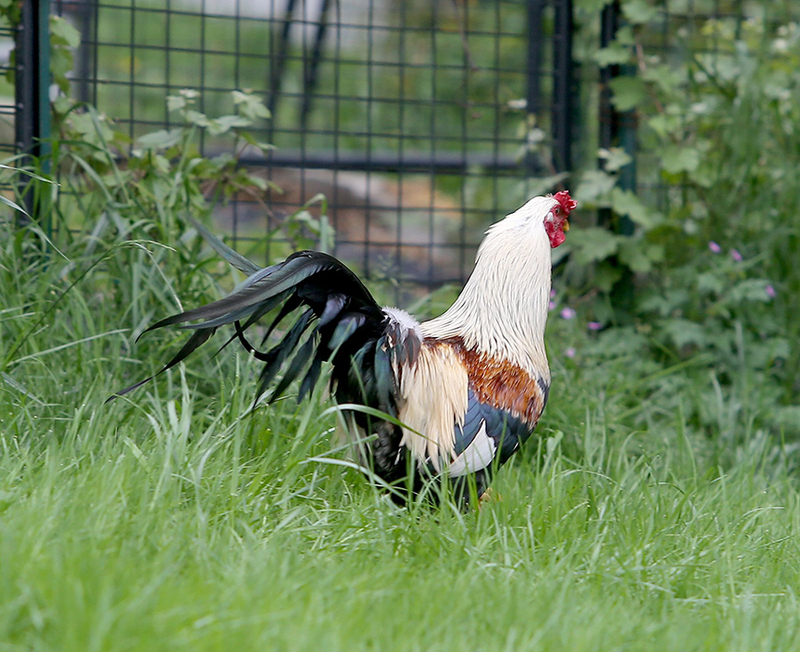 Livestock are adopted in an average of 12-20 days, including roosters. Without counting roosters, livestock are adopted in less than five days, Richards said. Dogs tend be adopted in less than seven days, while cats average about a 15 day stay at the humane society. 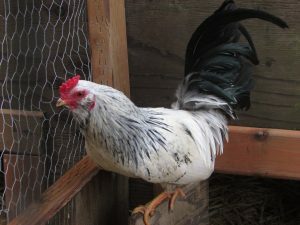 Duck the rooster, who is up for adoption at the Kitsap Humane Society. There is still one rooster, named Duck, up for adoption. When Bitsey arrived at the humane society there were at least two other roosters up for adoption. Now, only Duck is left. For information on adopting Duck, contact KHS at 360-692-6977. Catching up and looking ahead on the education beat here at the Kitsap Sun. Next week (Tuesday) we’ll have a story about how to pick the best kindergarten class for your child. I’m also working on a story about special needs students and the people involved in their education. I’d like to hear from students, parents, paraeducators, special ed teachers and anyone else with thoughts on the intersection of special needs and public education. Contact me at (360) 792-9219, christina.henry@kitsapsun.com or https://www.facebook.com/chrishenryreporter. First and foremost, did you get your ballot? Voters throughout Kitsap and North Mason counties on Feb. 9 will decide on bond and levy measures. In case you missed it, this story gives a summary of measures by district. Theler Center, school district asset or albatross? Following up on Arla Shephard Bull’s comprehensive history of the Mary E. Theler Community Center and Wetlands, North Mason School District, which owns the property, hosted a meeting to bank suggestions about what to do with Theler now that the trust established to support its upkeep is depleted. Ideas ranged from burning down the community center to starting a GoFundMe account. A Mardi Gras themed murder mystery fundraiser is set for 6 p.m. Saturday at the Mary E. Theler Community Center, 22871 Highway 3 in Belfair; 360-275-4898. It’s a habit that can escalate, according to Julie Lythcott-Haims, a former dean at Stanford and author of “How to Raise an Adult,” who will speak on Bainbridge Feb. 3. One college student she knew had never learned to pump gas because her parents visited every weekend and filled the tank for her. Although the author observed the problem of hovering parents (she tries not to use the helicopter parent tag) as one of upper middle-class and affluent families, it is by no means limited to the 1 percent. Lythcott-Haims’ talk is not limited to Bainbridge families. Here are the details: 7:30-9 p.m. Feb.3 at Bainbridge High School, 9330 NE High School Road; Cost: $15. Register at: raisingresilience.org. A Bremerton elementary school teacher earned her masters degree through classes at Woodland Park Zoo. And South Kitsap School district will host a meeting 5:30 p.m. Thursday (that’s tonight) at South Kitsap High School to explain the International Baccalaureate program it hopes to bring to schools, including the high school. We wrote about the program last spring. Thanks to the eagle-eyed reporters at nesaranews.blogspot.com, we can confirm what only the most astute/paranoid suspected, that the new shopping mall in Silverdale will actually be used as a FEMA concentration camp. This news is not without its upside. Unwitting, but highly skilled, orange-shirt wearing construction dupes build our future slave quarters. 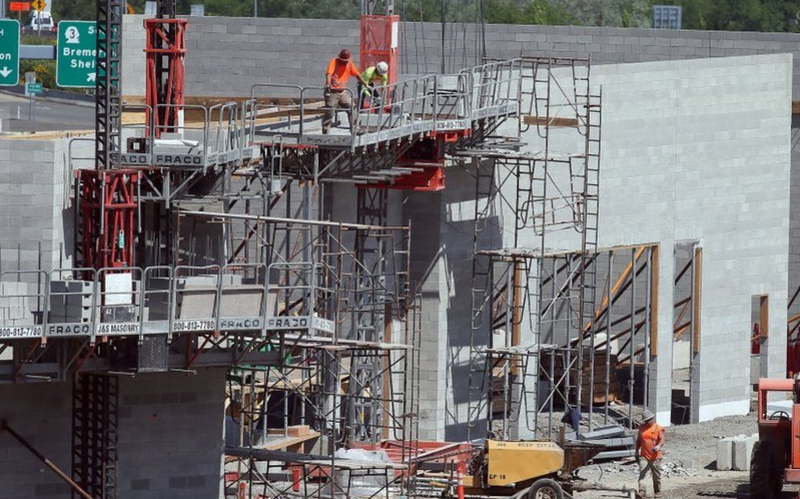 The site did not mention another fact from that story, that some of the walls are “25 feet taller than Kitsap Mall Boulevard.” As soon as someone explains to me what that means, I’m pretty sure I will be impressed. This means this is not just happening here in Silverdale, and we are not alone “Interestingly enough, and possibly just by ‘coincidence’, EVERY one of these shopping malls that will be opening in October of 2015 has characteristics of FEMA concentration camps including guard towers overlooking the properties and several of them LOOKING just like fortresses!” the site reports. In Texas, as you undoubtedly already know if you click on any Facebook links, Wal-Marts are being prepared to house residents there when the federal government takes over what it already controls, as much as anything in Texas can be controlled. The Daily Sheeple has a report on that. No word yet on how to reserve your space in Silverdale, and if you can you will want to, because It’s not all bad news. Kitsap Sun business reporter Tad Sooter is characteristically optimistic about the future. “I, for one, welcome our new retail overlords,” he said. We here in Silverdale have a leg up over other fortressy shopping centers, because according to Nesara many of these malls have yet to announce any stores. People there might just be ushered into a mall with no tenants and will therefore be forced to live on government spray cheez and meat-flavored product. We, on the other hand, have already been privy to some of our new masters, and if you’re lucky enough to get a bunk in Silverdale your daily menu will include Chipotle and Blazing Onion. We may be government slaves during the Obamanist indoctrination process, but we will eat well. Note: Because so many people fall prey to stories like this, I feel it my journalistic duty to inform you that the story you see here is not entirely factual. Yes, it does appear on a blog sponsored by a reputable news source staffed by journalists of impeccable integrity, but this piece is intended to be satire, or something. If it turns out that the Trails at Silverdale does become a FEMA concentration camp, I probably won’t be around to apologize for my tone. You have a week left to give a farewell to those pipes we all love under the Bucklin Hill bridge. Mourn the loss of Bucklin Hill Road for a year beginning July 1. That’s next Wednesday until July 1. I had to go to Silverdale Way and backtrack. Given enough perspective it’s not that big a deal. Nothing is a big deal if you can find enough perspective, just like anything is within walking distance if you have enough time and sturdy shoes. I love new roads. I love how my car feels new on them and how black and unsullied they love. I love the tar smell, even. Bucklin Hill will be widened between the bridge and Mickelberry. 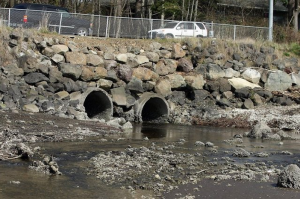 The culvert from Clear Creek to Dyes Inlet under the bridge will be removed in favor of something more natural. That means you’ll be left to find alternative paths, like Ridgetop, which I think we can all agree could use more traffic. This shoud be a pretty sweet deal once its done after the new year but before we elect another president. You’ll have time to get in at least one more “Thanks, Obama” after it’s complete. The county’s press release follows. State schools Superintendent Randy Dorn on Wednesday used the Marysville shooting as a cautionary tale about the role of social media in young people’s lives. Kids today live in two simultaneous worlds, one real, one virtual, both intertwined. “Social media is all around them, and many young people feel safer and are more open with Twitter and Tumblr and other channels,” Dorn said. That’s not all bad, but it can go south quickly when rumors or compromising photos and videos get spread online. Dorn called out cyberbullying as a potential trigger for real-life violence in schools, and he offered a tip sheet (below) for parents and school staff to help them recognize warning signs of distress or conflict online. These are uneasy times for schools. Sadly, lockdowns are becoming part of the routine for students, precautions against the unthinkable. On Oct. 23, the day before the Marysville-Pilchuck High School shooting, a threat by a Central Kitsap High School student put that school on lockdown. The threat against another student wasn’t made on campus (and it’s not clear whether cyberbullying was part of it), but school officials were taking no chances. On Oct. 29, a man’s hostile text messages to his estranged wife, a Poulsbo Elementary School employee, led to a lockdown at that school and at Poulsbo Middle School. On Wednesday, South Kitsap Schools briefly were on modified lockdown, as law enforcement agencies searched for David Michael Kalac, suspect in the murder of a Port Orchard woman. Kalac, believed to have posted pictures of the body online, was later found to have fled the state and was arrested late Wednesday in Oregon. Speaking of cyberbullying, a student who identifies herself as South Kitsap High School’s “new gossip girl” began last week posting crude and potentially embarrassing posts on Twitter. The girl has gotten some push back from other students. And one parent called her out on the Port Orchard Facebook group, urging students and others to virtually shun her. On Bainbridge Island, student Otis Doxtater took the fight against bullying (cyber and otherwise) to the next level. 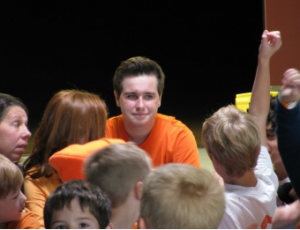 Doxtater, a junior at Eagle Harbor High School, on Oct. 21 organized students from kindergarten through 12th grade to hold a silent procession and demonstration of unity against bullying on the campus of Commodore K-12 Options School, where Eagle Harbor is located. The students created a linked chain of paper on which each had written something unique about themselves on one side and what they would do to stand up to bullying on the other. The paper slips were orange for National Unity Day, which was Oct. 22. Younger in life, Doxtater was painfully familiar with bullying. “I’ve always had a stutter, so that was always something that would be made fun of,” he said. And this wasn’t the first time Doxtater had made a public protest against bullying. He has spent hours in the parking lot near McDonald’s on Bainbridge Island with a sign that reads “Love and Equality” on one side and “Stop Bullying” on the other. On Twitter, he uses the hashtag #stopbullying, and he has a YouTube channel, otisdoxtater, demonstrating some of the positive uses for social media. The response of his schoolmates after the Unity Day demonstration was gratifying. Doxtater knows he’s putting himself out there, but he’s OK with that. Maybe Dorn should hire him as a consultant. The reference in the title of this blog post is to the book of children’s poetry by the late Shel Silverstein. Our topic of the day is neither children nor poetry but rather the intersection of public and private property and the maintenance thereof. Act I: Earlier this week on kitsapsun.com, Ed Friedrich reported on a series of unfortunate events that started with a city of Port Orchard road crew and an overambitious blackberry bush. Workers mowing a Bethel Avenue ditch June 4 sliced a utility pole guy-wire hidden in the brush. What happened next was like a Rube Goldberg machine gone wrong. The high-tension cable sprang up and smacked a power line, sending a surge to a home on Piperberry Way. The surge blew up the meter box and traveled to the breaker box in a bedroom, starting a fire. No one was injured. The city’s insurance will pay to repair the homes and another nearby that shared the same power source. Stuff happens. Sometimes it’s news. Sometimes it’s not. Act II: The story of Jack Jones and his six lost lavender plants may not be front page material or even fit for the inside Code 911 section. But it pertains to Kitsap County’s roadside vegetation maintenance program, a topic I’m guessing will engage property owners far and wide. In the interest of full disclosure, I know Jack. He’s my Tai Chi instructor. 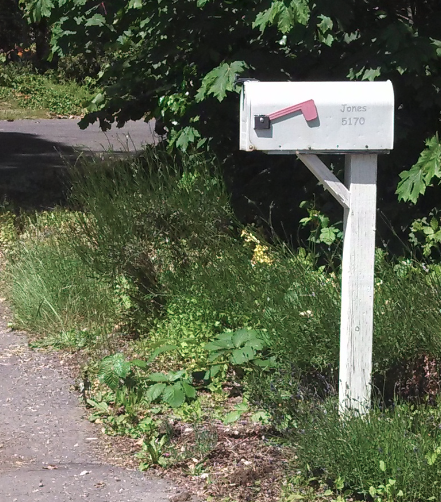 I made a couple of calls to Kitsap County on his behalf, when he couldn’t seem to get a response about six mature lavender plants by his mailbox that had been whacked to the ground on May 28. A couple of plants close to the mailbox were left standing, giving the appearance that the mower operator stopped when he recognized they were ornamentals. Jack had already taken the first step and called Kitsap 1, the county’s central operator system, where staff give basic information and direct traffic on questions and complaints (360-337-5777). When he didn’t hear back within the three business days allotted by the county for a response, I agreed to poke around. I’d do the same for a stranger. But before you start calling me about your problems with Kitsap 1, here’s who you really want to talk to. Public Communication Manager Doug Bear, dbear@co.kitsap.wa.us, is in charge. I’m not saying Kitsap 1 is rife with problems, just here’s what to do if you have one. After all, there are human beings on those phone lines. Stuff happens. Doug connected me with Jaques Dean, road superintendent for the county’s public works department, who gave me a link to the county’s detailed policy manual on roadside vegetation maintenance. 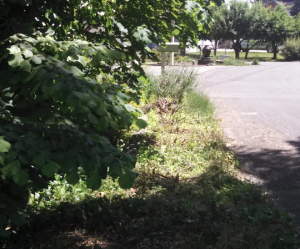 The purpose is to maintain sight distances within the county’s right-of-way, promote drainage off the road, remove vegetation growth that can degrade pavement and remove unsafe overhanging branches. Methods include mowing, use of herbicides and fertilizers, and promotion of native plants over invasive species and noxious weeds. The document goes into great detail about steps taken to protect the environment and people. You can sign up to be notified when spraying of chemicals is to occur, and you can opt out altogether. You can also opt out of roadside mowing under an “owner will maintain” agreement. That didn’t happen in Jack’s case. The operator, who was new to the area, had stopped before the mailbox since it was close to quitting time, intending to return the next day to trim up the rest with smaller tools, Jaques said in a follow up call to me on June 11. A county road log shows that Chico Beach Drive, where Jack lives, was mowed in August 2009, September 2010 and October 2012. Previous operators left the lavender intact along with plantings of several of his neighbors, Jack said, contributing to confusion over how the county’s policies are implemented. Jaques explained to me that operators typically work the same area of road in a given part of the county and become familiar with neighborhoods, working around plantings whenever possible even when there is no “owner will maintain” agreement. A few daffodils by the ditch are no problem, he said, but the county can’t guarantee they’ll be left standing. Kitsap County is responsible for 900 miles of roadway, double that considering there are two sides to every road. “Those people need to be aware the county needs to maintain the roadway and they need to do it efficiently,” Jaques said. If you’ve got big plans for a rock wall, a fence or a large hedge, the county needs to hear from you before the installation to make sure you don’t obstruct the ROW, he added. These are the types of plantings for which owner-will-maintain are most appropriate. On June 11, Jack finally heard from road crew superintendent Ron Coppinger, who had not had the correct phone number and who came out to Jack’s house to discuss the plantings. Ron offered to replace the lavender, but Jack’s neighbors had already brought him new plants. Jack and Ron settled on a load of beauty bark as compensation. But more important to Jack was the personal contact from Coppinger from which he took a sense that the road crew is indeed “very cognizant of the sensitivity of this issue” after all. If anyone has questions about navigating the lines of communication with Kitsap County or other local government entities (including schools), you can email me, chenry@kitsapsun.com. While only a few Tracyton residents attended Monday’s meeting about the potential closure of the volunteer firehouse in Tracyton, a majority of those that did attend argued for keeping the station open. “I don’t want to see it go,” Bob Kono said. Bob and his wife, Kay Kono, have lived in Tracyton for 47 years and were both part of Tracyton’s Fire District 11 before a string of mergers that lead to today’s Central Kitsap Fire and Rescue. Bob was the assistant fire chief when he left the Tracyton Station in 1981, while Kay was a volunteer at the station for 11 years. “It was the heart of the community,” Kay said. Station 44, on Tracy Street, is the original building made from masonry blocks in 1963. Now, it requires about $500,000 in repairs, according to a report by Paul Anderson, CKFR repair and maintenance manager. Parking lot repairs and stormwater requirements would each cost an estimated $150,000 of that amount. Other repairs included settling issues, electrical updates, chimney removal, kitchen remodeling and lighting, among others. 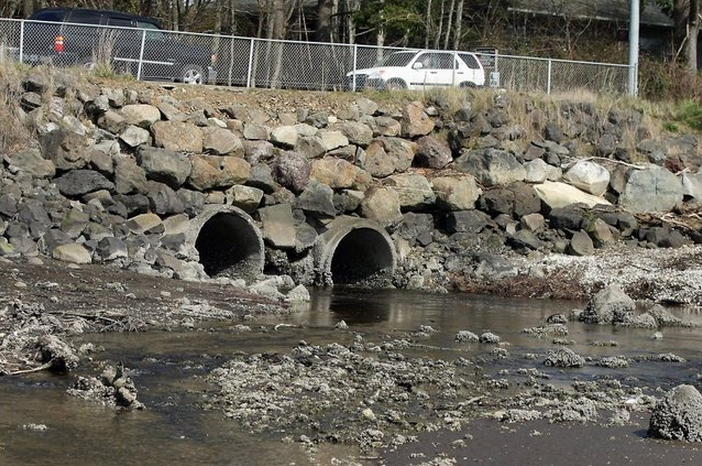 Tracyton resident Gary Keenan argued that the repair costs were estimated too high. Keenan also argued that the cost of keeping the station open is relatively inexpensive. Basic utilities cost the district about $4,380 per year, but that does not include routine maintenance and upkeep, Anderson said. Last year, CKFR reviewed its facilities and vehicles to determine what maintenance and repairs needed to be done, and where money should be invested while the district deals with balancing its budget. CKFR projects a $1 million shortfall in its 2015 budget if expenses are not reduced. A majority of the fire district’s revenue comes from levy’s based on assessed property values, which have been decreasing for the past six years, resulting in a loss of more than $2 million. One Silverdale resident, Ed Stebor, suggested closing the Tracyton Station and selling the land to make money. If this does happen, Bob Kono, who also lives close to the station, said he is concerned with what will happen to the land. CKFR will be looking into and considering the station’s zoning location and how much the land could potentially make the district, according Fergus. CKFR also is considering the community’s safety in the decision to potentially close the Tracyton Station. Response times will not be significantly impacted, according to the district. Tracyton’s volunteer crews were the first on scene for about 60 of the 3,404 calls in their response area. The station’s coverage area also overlaps with Meadowdale and North Perry Station 45 on Trenton Avenue. Both stations are staffed with career firefighters. If the Tracyton Station closes, residents will not see a change in insurance rates because of the station overlaps, according to Ileana LiMarzi, CKFR public information officer. And Tracyton Station volunteers will be reassigned to Meadowdale Station 41 on Old Military Road. The district has not made a decision, Commissioner Dave Fergus stressed during Monday’s meeting, but the Tracyton Station will definitely be an agenda item in the future. The next board meeting is April 14 at CKFR’s administration building. The Central Kitsap School Board has not scheduled a conversation on the question of renaming Brownsville Elementary School after John D. “Bud” Hawk. It will likely be on the agenda for the March 26 meeting, but I have heard from a couple of sources that some will be at Wednesday’s meeting this week to air their thoughts. In preparation for that conversation, in an attempt to understand views on both sides of the question I asked the district to see all the responses to the online survey the district conducted about the question, particularly the spaces where people could weigh in with comments. I should say up front that all three of my children went to Brownsville. One was there a few months, another a year and the other all seven elementary school years. Given that, we do have a sense of gratitude for the work that goes on inside the school. But I get paid to keep my feelings about an issue to myself, so if I had an opinion I wouldn’t tell you what it is. Besides, we don’t live in that area anymore and my youngest goes to Silver Ridge, so I don’t have a dog, or a bear, in that discussion. John “Bud” Hawk was a great man who accomplished more in his lifetime than most people I know. He has also been recognized and memorialized in many ways as a tribute of thanks for his many years of service. For me personally, I feel strongly that Brownsville Elementary should remain, and a portion of the school should be named after Bud. Brownsville is a school with a wonderful family vibe and supportive community. Many of our families attended Brownsville as children and now watch their own children roam the halls of a school they love, one that has been called Brownsville for almost 60 years. In a time where everything moves so fast, information is shared so quickly, names and trends come and go at a rate most of us don’t remember them. I feel that offering some consistency, an anchor of sorts to our youth is crucial. Let Brownsville be that constant, that place where our children will look back and smile, that tangible memory that lets them know that not all things disappear … that some, very special places are kept as they are because of the powerful and positive impact they’ve had on so many. When my family moved here our three grade school sons were among the largest number of students ever to attend Brownsville at one time. Within months Esquire Hills and Cottonwood opened, reducing the head count to one third. Through it all Bud Hawk kept his cool, maintained order, got to know the children and even cooked Thanksgiving turkeys for the Thanksgiving feast. He was phenomenal under tremendous pressure. He dealt with parents, students and teachers in a way each was heard and respected. For all that Bud did before he came to Brownsville and for his exemplary leadership as principal, John “Bud” Hawk deserves to be remembered in a lasting way. Please don’t flub this. Please name the entire school after a man whose shoes can never be filled by another person. Let this be his legacy. He was an eyewitness to some of the most horrible things man can do his fellow man. And his reaction to that was to embrace the nurturing of children. He was motivated to make education his career because he knew it was important to help children., that the key to a peaceful world was happy children. His understanding of what was really important in life and his insight into how to change the world is at the heart of knowledge. And the heart of knowledge in any school is the library. I think the library should be named after him. I attended Brownsville Elementary in the 1970s and remember Mr. Hawk fondly. Of all my school principals, he is the one I remember the most. What he did for our country in WWII is certainly deserving of renaming the elementary school where he dedicated many years of his professional life in his honor. Nearly everyone supported naming at least a part of the school after Hawk, so it seems clear there is large support for honoring Hawk somehow. Now, allow me to put on my best pinstriped suit to play advocate for the devil. Many who opposed renaming the school spoke of how it could harm Brownsville’s “storied history” and “legacy.” Those are kind of big words to attach to an elementary school. What historic moment happened at Brownsville? What legacy at Brownsville is so unique that it couldn’t be found at other schools? I was especially struck by the people who said renaming the school would be harmful to the memories of people who went there, to which I ask, “Why?” Would your memories be any less beautiful if the school you once attended wasn’t called Brownsville anymore? Did new people move into the house you grew up in? Did that make you sad? Did you get over it? How do the people who went to East High School feel about their old campus being turned into something else? How do Seabeck and Tracyton alums feel today? If they change the name of your school, it doesn’t change your memories. On the flipside, let me still represent the devil in arguing the other case. A few brought up that the school is actually in Gilberton, some saying that calling it “Brownsville” was a compromise to appease people who really did live in Brownsville and were disappointed the school was not located there. I haven’t verified that. Despite all that, even though Brownsville Elementary School is in Gilberton, that argument ended a long time ago. The school has been there for years with that name, and renaming it Hawk isn’t going to right an old wrong. Let me tell you a little of my history. 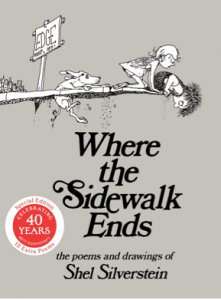 Forty years ago I graduated from an elementary school named after a street. That much I knew then. What I didn’t know was the street was named after a former whiskey maker and rancher who helped settle the San Gabriel Valley in Southern California. That’s something I found out about an hour ago, thanks to Wikipedia. The school’s website didn’t have any info on it. Nor did the high school named after John A. Rowland. I still don’t know who my junior high school was named after. This request is coming at a time when the emotions about and the memories of Bud Hawk are fresh. Years from now as more people pass through the class-picture-lined halls of the school there is the threat that the passion to remember the school’s namesake will diminish. Naming a school after a hero is the most a school district can do, but it’s not nearly enough for what John D. “Bud” Hawk did. There have been principals, few of them maybe, who can match his impact on students. But as CK’s Superintendent Hazel Bauman said at a previous board meeting, there are not that many principals who were previous Congressional Medal of Honor recipients. When I read Hawk’s World War II story I was legitimately flabbergasted. Ed Friedrich, explained Hawk’s wartime exploits well in the story he wrote when Hawk died. “On Aug. 20, 1944, German tanks and infantry attacked Hawk’s position near Chamois, France. He fought off the foot soldiers with his light machine gun before an artillery shell destroyed it and wounded him in the right thigh. He found a bazooka and, with another man, stalked the tanks and forced them to retreat into the woods. He regrouped two machine gun squads and made one working gun out of two damaged ones. Whatever decision the district makes, this conversation should spark one commitment out of anyone interested in the question. No matter what decision is made about the renaming of the school, the students who go to school there should know well the story of what John D. “Bud” Hawk did in war, and then what he did in peace. For all the distinction and symbolism there is in naming a school or a part within the school after a hero, the greatest way to honor someone is to emulate someone. Whatever the district decides to do, the decision should be made answering the question that as students walk the halls Bud Hawk walked, what decision will more influence them to walk the life he walked, too. March 12, 2014 Central Kitsap, Parents and Children, Peninsular People, SchoolsBrownsville Elementary School, John D.
Firefighters from Kitsap County and across the country, ran, jogged and sometimes leaned against walls on their way up 69 flights and 1,311 steps in full firefighting gear, including oxygen tanks and breathing equipment, Sunday during Seattle’s annual Scott Firefighter Stairclimb, a fundraiser for the Leukemia & Lymphoma Society. CKFR firefighter’s eight-man team has raised more money than any other Kitsap area team with $16,036.13, beating its $12,000 goal. CKFR also has placed in the top 10 fundraising teams per capita. “Now we really set the bar too high,” joked firefighter Ryan Orseth, CKFR team captain. Orseth himself made an impressive fundraising push. He was $403.95 short of making the list for the top 10 individual fundraisers. He raised a total of $5,201.05. 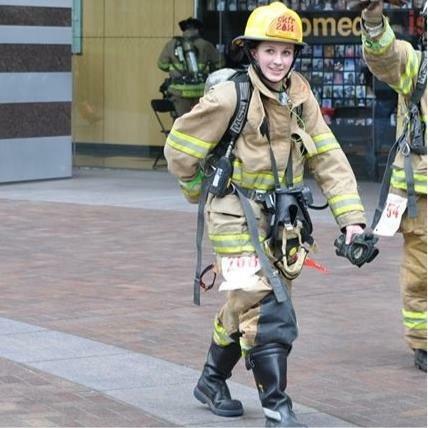 Although firefighters are done racing stairs in downtown Seattle’s Columbia Center, the second tallest building west of the Mississippi, they can accept donations until the end of the month. So far, 1,800 firefighters from more than 300 departments have raised about $1.55 million. Last year, the event raised $1.44 million with the help of 1,500 firefighters from 282 departments. 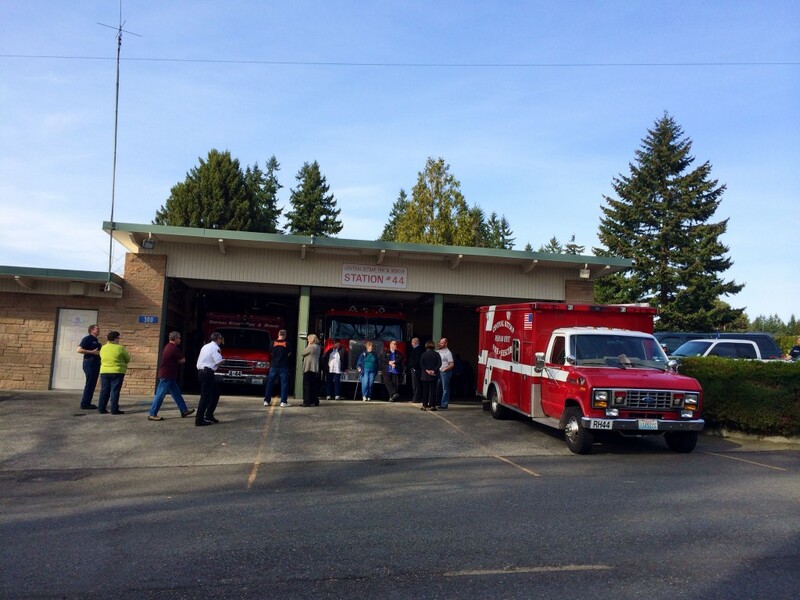 While every Kitsap area fire district and department participated in the event, not everyone is as closely connected with the Leukemia & Lymphoma Society as the North Kitsap Fire and Rescue is. The district lost one of its own firefighters to leukemia on March 8, 1997, according to NKFR spokesperson Michele Laboda. Tom Kenyon died at age 33, leaving behind his wife and six-month-old daughter, who is now a high school senior. The stairclimb has always been close to and sometimes on the anniversary of Kenyon’s death, Laboda said. This year, NKFR’s four-man team has raised $2,128, just a few hundred shy of it’s $2,500 goal. Besides the gratification of fundraising for a noble cause, there also is a little pride in how quickly individuals and teams climb the stairs. Each team can have any number of participants, but team times are calculated from the top three fastest times. CKFR’s team time was 1 hour, 5 minutes and 30 seconds, while the North Mason Fire Authority had the fastest time for Kitsap area districts, finishing in 49:09. The average firefighter takes 20 to 30 minutes to run up 69 flights of stairs, according to the event website. Only firefighters are allowed to climb in the event. This year’s fastest time was 11:03 by 32-year-old Missoula, Mont., firefighter Andrew Drobeck. CKFR is looking at improving fundraising, not speed, next year. Orseth said he would like to see CKFR on the top 10 fundraisers list. This year’s top fundraisers ranged from $22,318 to $68,976.99. To compete, Orseth suggested pooling Kitsap County’s resources to create a countywide team. And he has already started campaigning for next year’s climbers, asking CKFR commissioners to consider joining the team. “There’s paramedics on scene,” Orseth said.